It was the talk of Ireland for some time when disgraced former solicitor, Michael Lynn, was arrested in Brazil back in 2013. In early 2015 he is still incarcerated in South America, but we may expect him to be brought back to Ireland very shortly. 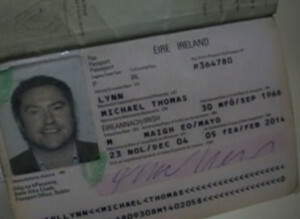 Brazil’s supreme court has voted to allow the extradition of fugitive solicitor Michael Lynn back to Ireland. Marco Aurélio, the justice assigned to study the case, ruled on Tuesday afternoon in favour of the Irish Government’s request and his decision was unanimously endorsed by three colleagues sitting with him on a court panel. One judge was absent but the four present were sufficient to form a quorum. Mr Lynn’s defence team can seek clarification of the ruling, but any such request will not lead to the overturning of Tuesday’s decision. His lawyers have five days to make any request starting from when Tuesday’s ruling is officially published by the Brazilian Supreme Court, which should be in the next few days. After the hearing, the legal team for the Irish Government indicated it would be January at the earliest before Mr Lynn was returned to Ireland. The court did impose conditions on its decision, which the Government must accept for the extradition to go ahead. Mr Lynn can only be tried on charges of theft, and his time in detention in Brazil should count against any possible jail sentence in Ireland. He has been held in a Brazilian prison since his arrest in August of last year in the northeastern city of Recife. As is customary in cases before Brazil’s Supreme Court, he was not present at the hearing, which took less than an hour to decide his fate. Ireland’s Ambassador to Brazil Brian Glynn was in the court, shaking hands with the Government’s legal team after the decision. The ruling is a victory for the Irish authorities’ carefully conducted legal campaign to have Mr Lynn returned to stand trial. The Brazilian justices rejected his defence’s argument that the charges were not crimes under Brazilian law, as well as claims there were errors in the paperwork presented by Dublin and that Mr Lynn is being made a political scapegoat for the implosion of the Celtic Tiger. The ruling is the fruit of detailed negotiations between Ireland and Brazil, which in the absence of an extradition treaty agreed they would treat such requests from each other on the basis of reciprocity pending the conclusion of a formal treaty. The Crossmolina, Co Mayo lawyer faces 33 charges prepared by the Director of Public Prosecutions related to the collapse of his property business, though now, for the extradition to go ahead, many of these will be dropped to focus just on those relating to theft, as demanded by the Brazilian court. Mr Lynn fled Ireland in October 2007 with debts of €80 million. By the time his company unravelled he had amassed 148 properties, 154 bank accounts and assets worth more than €50 million. He says that while his borrowings were misguided, he does not believe he acted fraudulently. He was struck off the Roll of Solicitors by the president of the High Court in May 2008.